Players are in groups (5 people in each group; can be 6 – as wild card). After each match the 2 best players move up, 2 other players down. Season ends with a Masters Tournamen. Players can attend additional matches, but must be in a last group or must be from the wild card orto go to the highest group and the group must be balanced. Results are kept at the reception in “League book” and are signed with both players. Terms are arranged between players – matches can be hold on SCE courts only. Matches are scheduled between players or can be agreed with a referee. Both players should choose a ball. 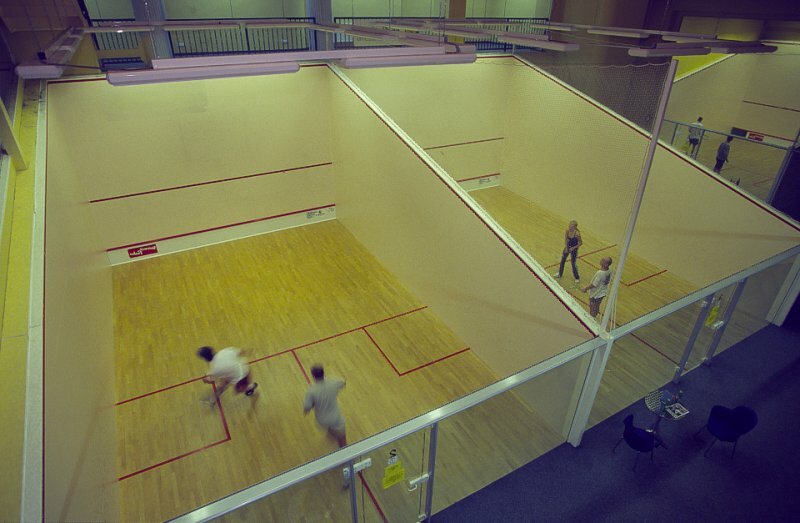 All matches must be played at Sport Center Evropská. All players have 15% discount from regular prices and a 10% discount for shopping at Sport Shop . When the reservation is made, we are allowed to charge a fee in case of a cancellation. If players do not cover this amount, they can be disqualified without the possibility of a refund of the admission fee. 3 winning sets to 9 points without a loss (contingently after an agreement to 11 points without a loss).